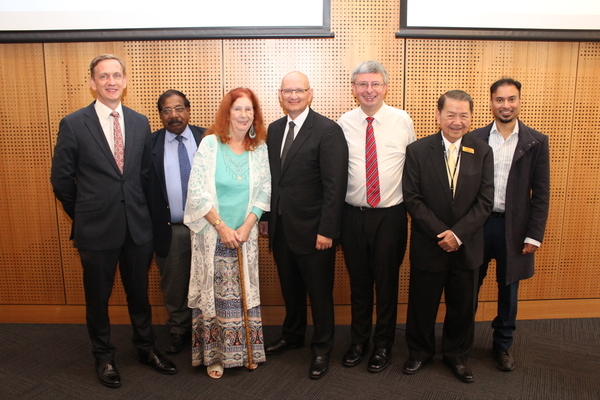 Bruce MP Julian Hill, Greater Dandenong 2019 citizen of the year Wicki Vikramasingham, Greater Dandenong mayor Roz Blades, federal MP Shayne Neumann, Cr Matthew Kirwan, Cr Youhorn Chea and federal Labor candidate Kadira Pethiyagoda at the forum. Federal Labor, if elected to Government this year, has vowed to reverse the stripping of welfare payments from asylum seekers living in the community. 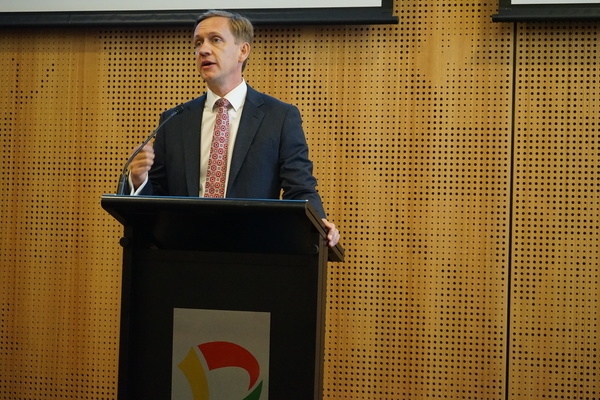 At a forum in Dandenong on 8 February, opposition immigration and border protection spokesman Shayne Neumann announced the commitment. He slammed the Government’s “arbitrary, unjustified and haphazard” cutting of Status Resolution Support Service (SRSS) payments. The cuts are thought to potentially affect up to 2000 asylum seekers in the Dandenong region, entirely stripping them of their $35-a-day SRSS payments. Mr Neumann pledged to ensure asylum seekers had means-tested access to a range of services including crisis housing, financial assistance, health care and mental health support. 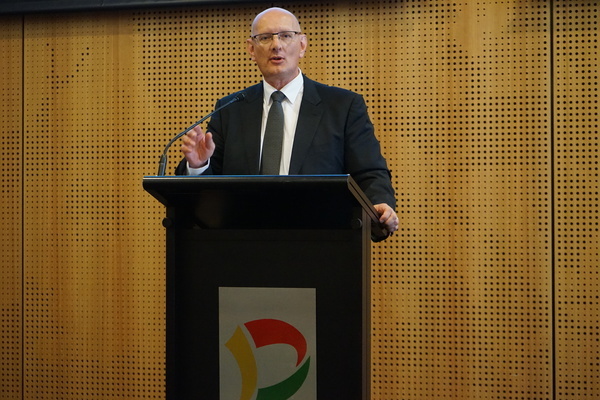 The forum was hosted by the Local Government Mayoral Taskforce Supporting People Seeking Asylum chaired by Greater Dandenong mayor Roz Blades. The taskforce of 25 councils from Victoria and NSW are part of a Back Your Neighbour campaign on the issue. Cr Blades said she was pleased to hear a “firm commitment to restore the program if Labor wins government”. “Now we need a clear timeframe for action. “The effect of these cuts is people having no money and support to survive on, causing a level of destitution and homelessness that is completely unacceptable. Back Your Neighbour campaign manager Daniel Scoullar said “thousands of men, women and children are being put in harm’s way” by the “cruel” cuts. Bruce MP Julian Hill, who attended the forum, said many local organisations and the State Government were stepping in to support them. Greater Dandenong councillor Matthew Kirwan said that Labor needed to commit to a time-frame. “What was clear from the meeting was we need to get a clear commitment from Mr Neumann to reinstate the SRSS. The “worst thing” for recipients would be to be kept waiting while a long drawn-out review of the program was underway, he said. A spokesperson for the Department of Home Affairs recently told Star News that the SRSS program “is not a social welfare program”. “It is designed to provide short-term, tailored support to those who have demonstrated barriers to resolving their immigration status.